Let’s look at your product and your website. 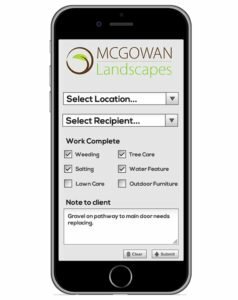 Is there an app we can develop that will make your life and your client’s/customers easier? We work with clients to establish how an app will work for your business. We will meet with you to discuss your business, understand your specific requirements and come up with a creative design with recommendations for features on how to display the information on your mobile application. The mobile app should be successful for you and your client/customers and we are continually coming up with ideas for improvements and making processes easier. We also provide web based applications to help clients work with data capture and associated functionality such as complex workflows. We provide expert advice and step by step training on how to use the app once developed. Format.ie also ensures that your website is visibile not just on your desktop but on all mobile devices – laptops and mobiles – no matter the size. Once your website has been built, we test that all the headings, content and images are not distorted once viewed on a laptop and mobile and will fix these if this is the case.